ASA has created a tool called a Letter of Interpretation (LI). 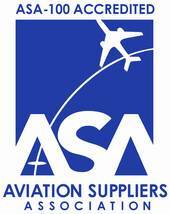 LIs are used to provide guidance regarding ASA-100 and/or FAA AC 00-56A. LIs are required if applicable to your business. Each LI addresses requirements and future expectations. Each active LI is incorporated into the next published revision of the ASA-100 Standard, unless specified to remain active by ASA. Inactive LIs: Language has been incorporated into the ASA-100 Standard. The archives allows for further explanation of specific language within the ASA-100 Standard.